If you’re looking for a great golf course where you can play a round, enjoy a cold one afterwards and dispense with the snootiness. That’s Longview Golf Club in a nutshell. But not lacking in what you come here for. Our focus is on golf, so we appeal to that segment of golfers who aren’t looking for the “country club” experience. That’s Longview Golf Club and that’s the way we like it. 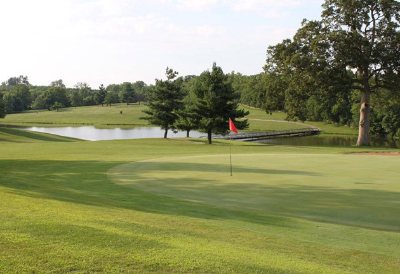 Longview is a 6,658 yard Georgetown golf course, with four sets of tees, playing on Ryegrass tees and fairways and Bentgrass greens. With a 70.7 rating and 120 slope, our gently-rolling hills and relatively flat greens offer you a pleasant, no-nonsense round – particularly in Spring and Fall, when Ryegrass is at its finest. The clubhouse, including the golf shop and snack bar provide the essentials to equip your for golf and refresh you afterwards. We’re a nice, convenient getaway from both Lexington and Frankfort, on Highway 460. Warm up on the driving range, with 10 hitting stations. Tee times are easily booked online. Come out and enjoy a round of golf without any pretense. We’re not for everybody, but everybody here has a ball!